Sure, you can create a merged letter and have 30 pages of individualized information. What now? How do you create separately named documents to, maybe, send as attachments? Another task might be to convert those 30 docs to PDF. Oh, the hours wasted! Graham Mayor, a retired newsgroup junkie, offers a solution. It's a macro that will convert the merged output as individually named doc(x), and/or PDF files. I've used it, and now wonder what I can do with the time I'm saving. Stores formatted AutoCorrect entries, AutoText entries, keyboard shortcuts, menu customizations, custom toolbars, styles, macros. Stores unformatted AutoCorrect entries (the majority of your AutoCorrect entries). Words you add during spellcheck. Templates you create (.dot files). Unfortunately, Word's protection feature disables a huge number of important functions, even if you only protect a single section of a document. Besides the spellchecker, many other items on the View, Insert, Format, Tools and Table menus are disabled, as well as most items on the Drawing, Database, Visual Basic and Picture toolbars. Enable the spellchecker in a protected document. One of the important elements is "NoReset=True". The act of removing and then re-protecting a document will reset the data without this line. Faced with a repetitive task, I often have to make the decision, do I do it by hand again and again? Or do I write or find a macro to do the heavy lifting? "Have you ever had a document with ten, twenty, or even 100 images, and then as an afterthought decided you wanted to add a caption to each of those images? This is an easy task through the user interface (UI). All you have to do is select each image, one at a time, and choose Insert, then Reference, then Caption. Unfortunately doing this through an image-heavy document is a boring chore and takes up a lot of time. Fortunately, the Word object model lets you to apply a caption to a selected object. An add-in that does this for you is only a small chunk of code away. The sample add-in accompanying this article demonstrates how to do this. It also demonstrates many other details about working with shapes and images in Word programmatically that are useful to know about." Here's an example of how to use an external text file to record incremental numbering. "Sometimes, when working on a project, you may want to save your documents in sequential order (for example, "0001", "0002", "0003", and so on). If you wanted to do this manually, you would need to sort through your working directory for the latest file number before you could assign the next number to a new file. Using this fairly straightforward Word macro, you can make creating sequenced files as easy as pressing a button." 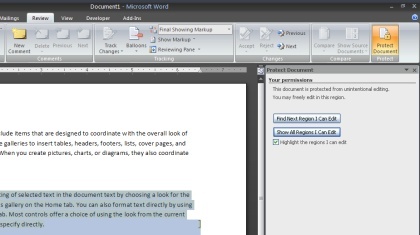 When entries are made in a document, Word creates a Story Range to identify what part of the document is being used. These ranges can be used in macros to search for items , change text, or other actions. MyHeaderText = "This would be your text"
When you use Edit>Replace in Word, it does a fine job of locating all occurrences of the target in the body of the document or in the header or footer. Something fails, however, when you record the action and try to run it as a macro. 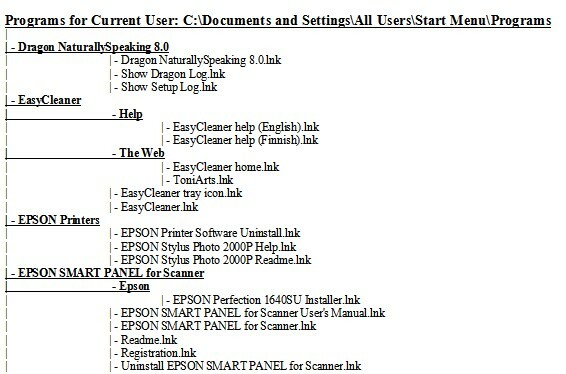 To make it work, you must loop through the built in ranges of a Word document. "Task Panes display within a Work Pane's area. A Work Pane is created by the combination of two objects. These objects are shrouded in misery and thwart most attempts to play with them. The whole area is hidden away from the Kill Cursor invoked with CTRL+ALT+-, which changes to a hand when waved over a Work Pane. Functions are hidden away from the macro recorder. To make it easier, if it is not in this reference, it is hidden. It is like when a spy is caught and the government disavows all knowledge of their actions. The Task Panes are spies from Microsoft that are known to only a few objects, in these versions of Office anyway. The author gleefully notes at this point that the human race has enough intelligence to get itself into cauldrons of boiling water that it cannot climb out of and that means you and me both! If you like to be ultra-safe, stay away from this reference and wait for MS to hand over full functionality. You will end up crashing Word many times and you can really damage your user interface."